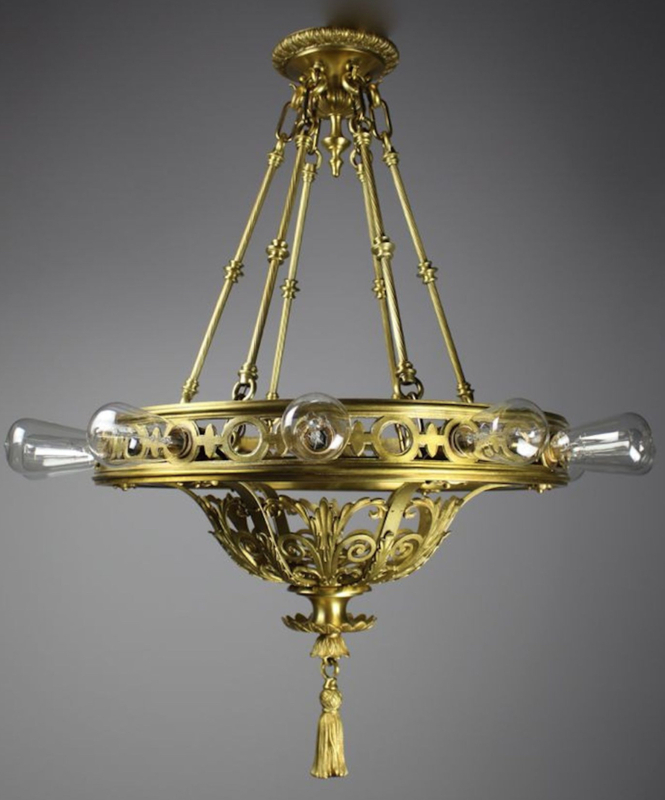 Circa 1915 This highly unusual and decorative Edwardian commercial fixture was sourced from a ballroom in Kansas City, MO. 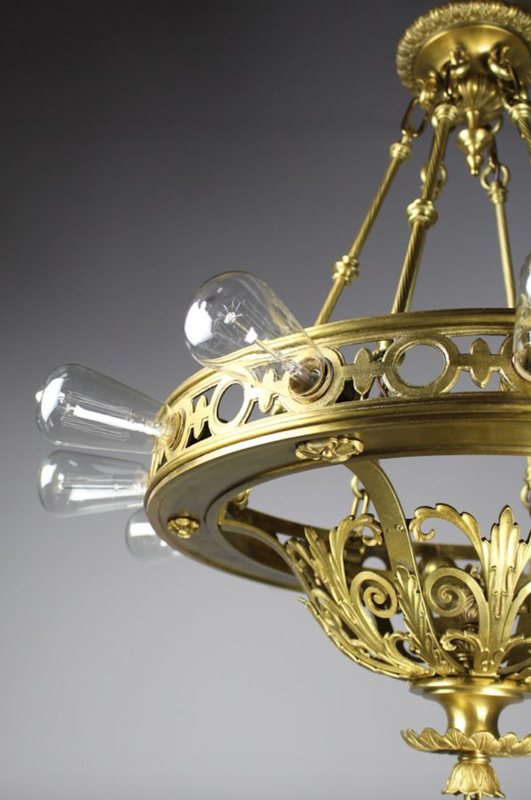 Made by Beardslee of Chicago, this fixture showcases twelve bare tungsten bulbs. 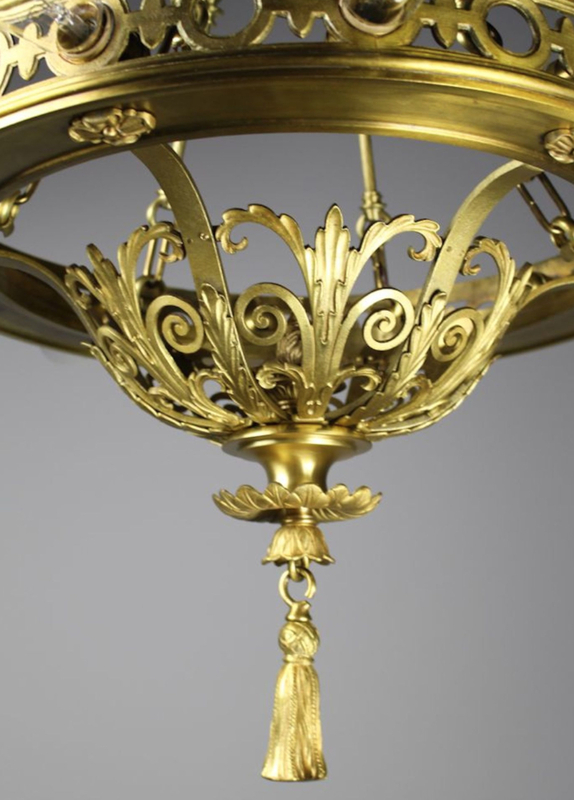 It is decorated in an stylized acanthus leaf pattern. 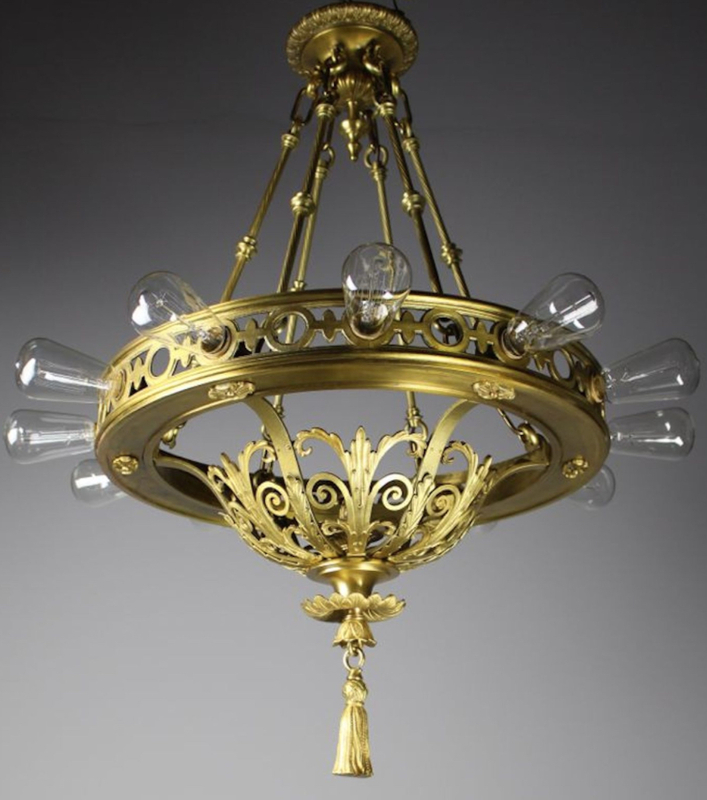 This rare light has a fun and lively silhouette that would be perfect as a feature light to create presence in a room. A true statement piece.